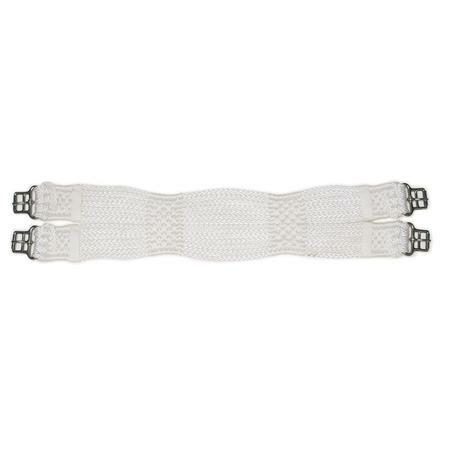 SKU 470055Our Price $54.99 $30.24 On Sale! 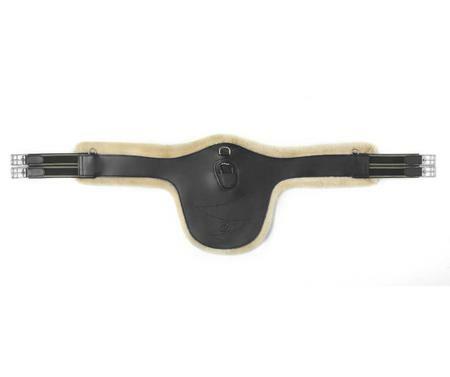 Plush premium sheepskin is used the the Europa™ Shaped AP Girth Pad. 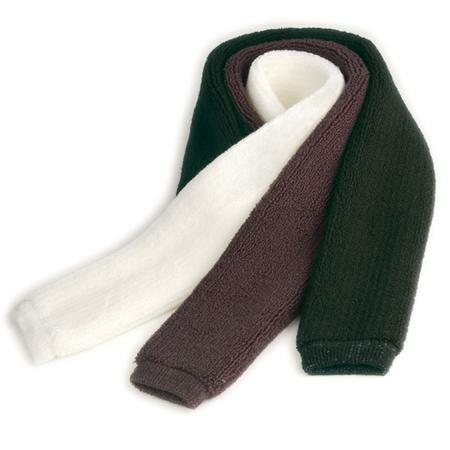 Quilted cotton back with wide elastic strips for easy on-and-off. 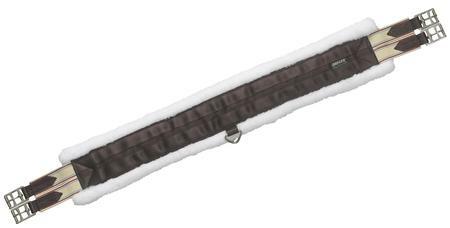 39" long x 4 1/2" wide. 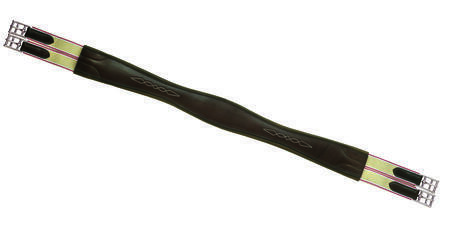 Our Price $65.95 $32.38 On Sale! 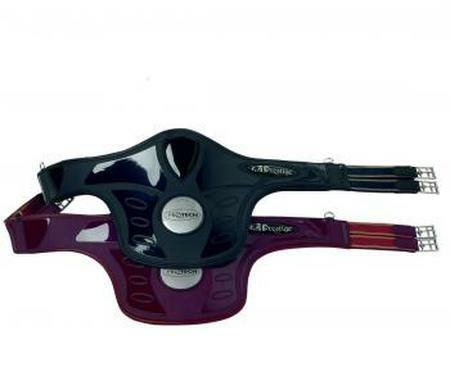 The Ovation® Fleece Lined Equalizer Girth is still the most comfortable girth on the market. 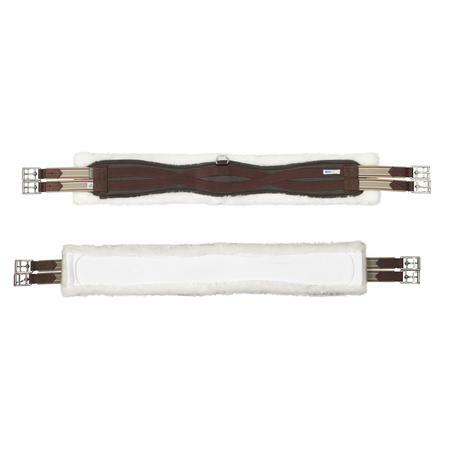 This nylon girth is lined with soft fleece for comfort and easy wash ability. 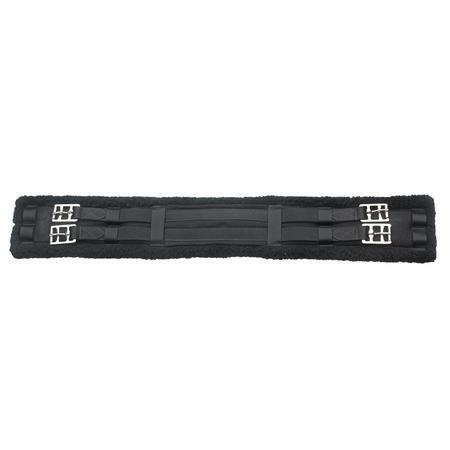 The center d-ring is for adding additional training attachments. 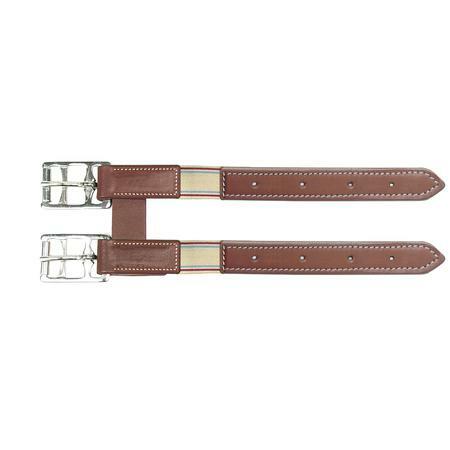 Features double elastic at both ends and strainless steel buckles. 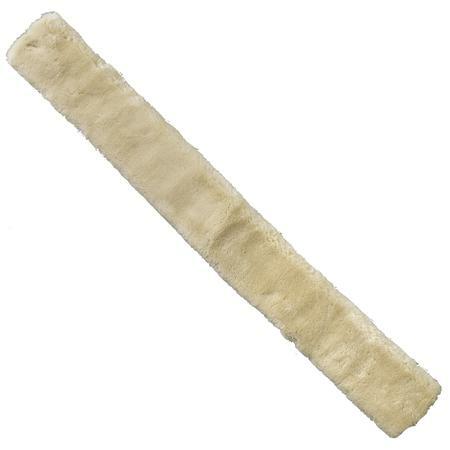 Made of stretch cotton terry this is the perfect absorbent girth cover up. 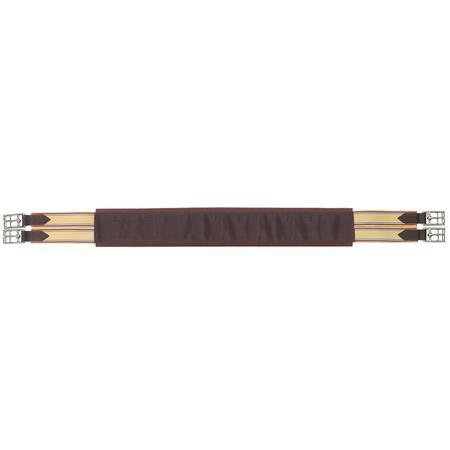 In extra long length. 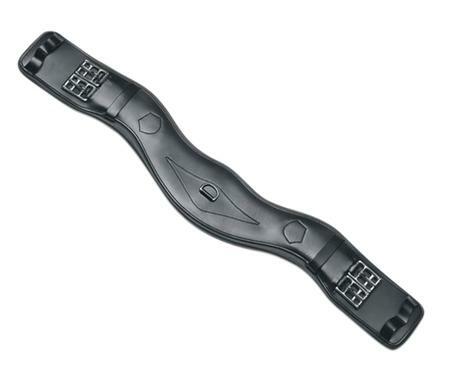 SKU 460084Our Price $19.95 Select Models On Sale for only $10.78! 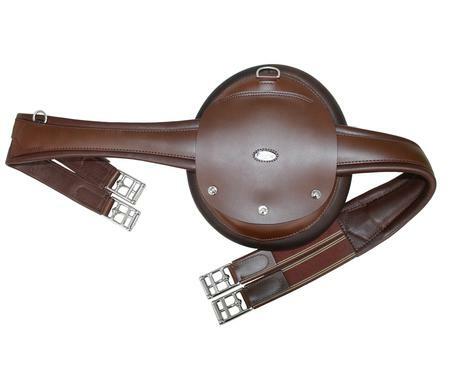 Quality leather contoured monoflap saddle girth with double elastic on both ends, and stainless steel roller buckles. 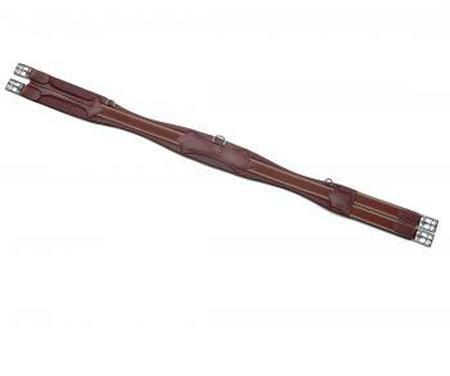 American Leather. 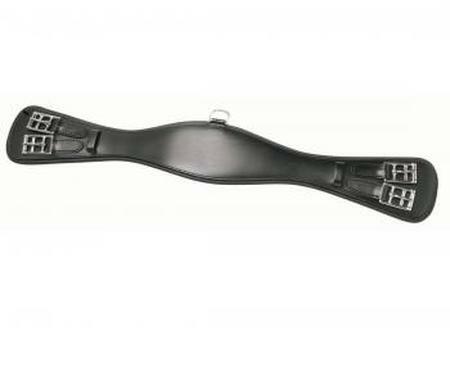 Ovation® Pro Classic All-Purpose girths feature Superior stainless steel roller buckles and triple elastic at both ends. 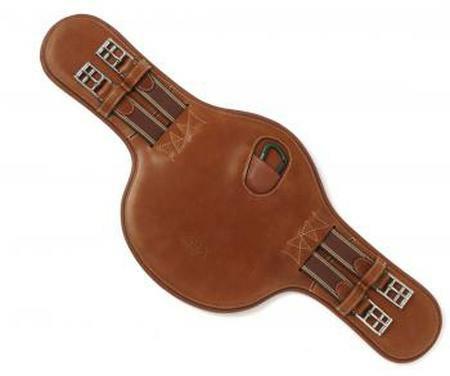 With improved top grain vegetable tanned leather and fancy stitch design. 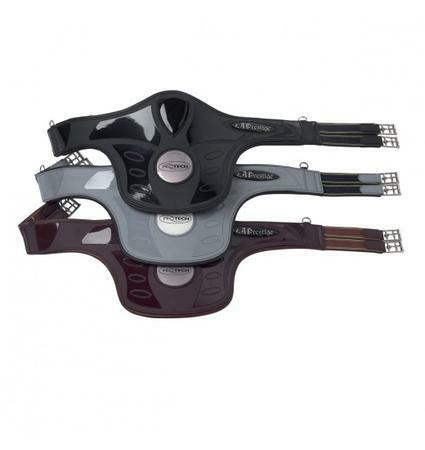 With triple elastic and stainless steel buckles at both ends. 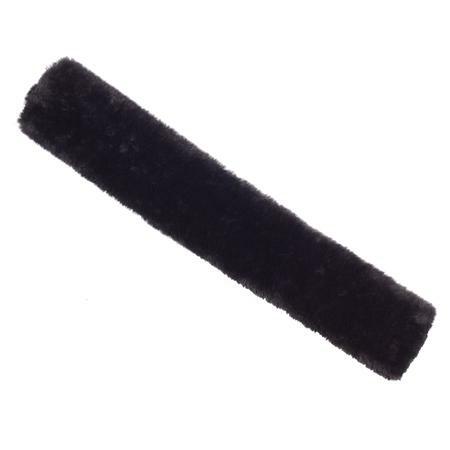 Our Price $27.50 $14.60 On Sale! 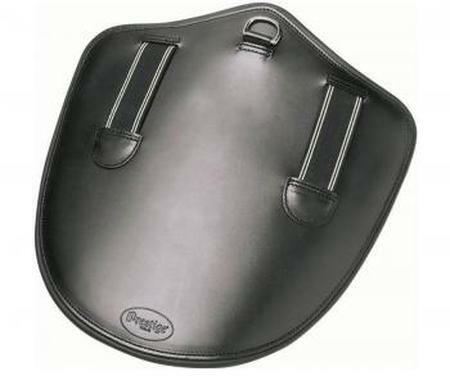 A technical accessory specifically for endurance riding, made in special, anti-allergy, breathable, and washable neoprene. 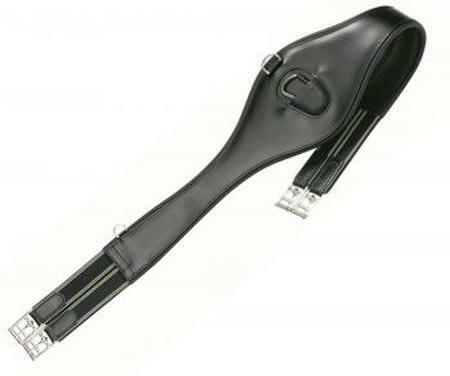 Sizes are 50, 55, 60, 65, and 70 cm, and it is available in black. 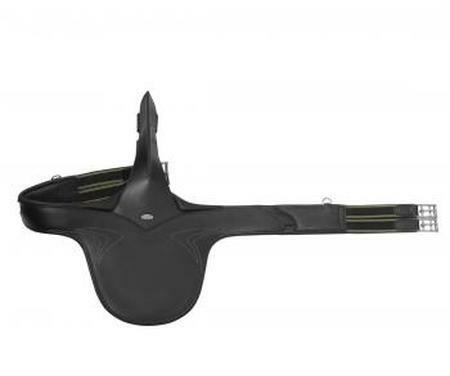 The Prestige A13 Stud Guard Attachment allows any rider to turn a standard girth into a belly guard girth. 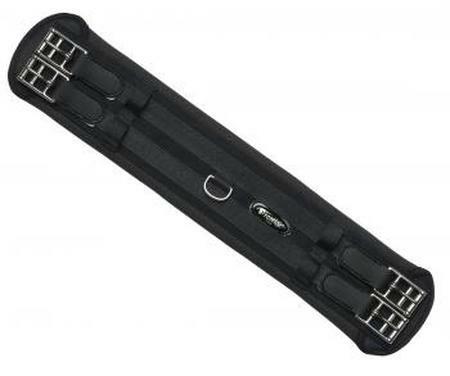 Two elastic straps secure the stud guard attachment to the girth while allowing easy attachment and removal. 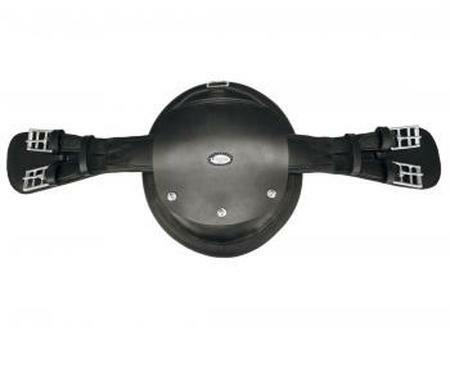 A dee ring ensures compatability wtih snap end martingales even when the stud guard covers the dee on your girth. 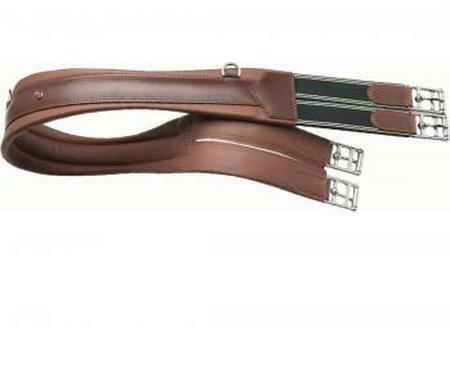 Stud guard girth with longer rear elastic to facilitate saddling. 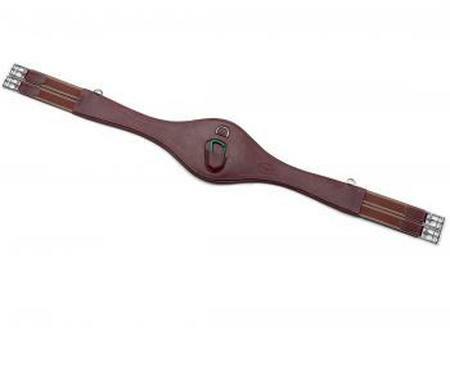 Prestige A7 printed leather stud guard girth features double elastic, three dee rings as well as a carabiner to attached either snap or loop end martingales to the girth. 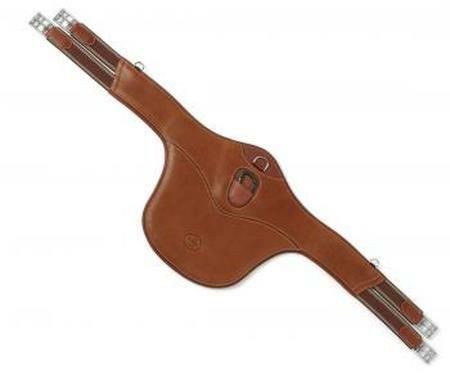 As with all Prestige products, this girth displays exemplary design and quality. 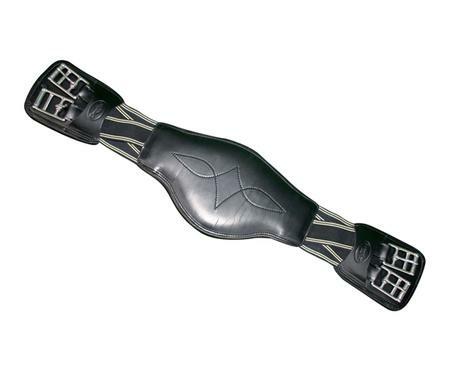 Short stud guard girth with an anatomical form and new design. 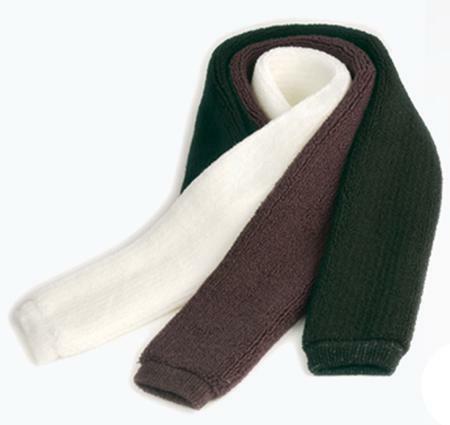 Available in sizes from 50 to 85 cm. 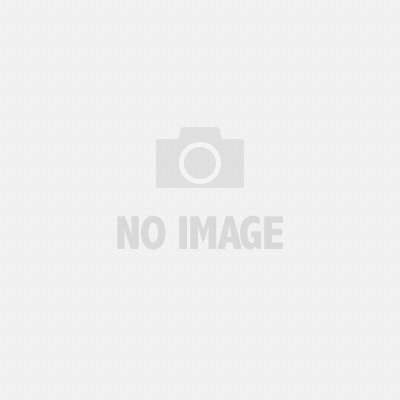 New cognac color. 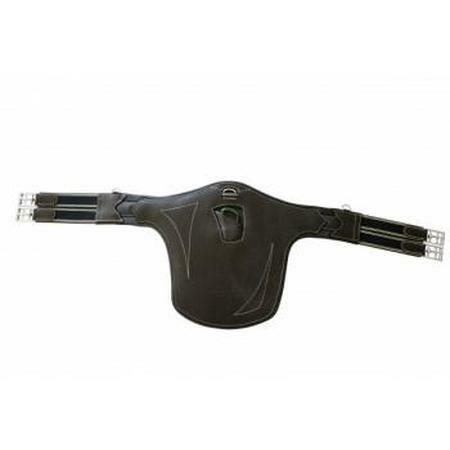 Prestige NEW X-BREATH LINE A7 printed leather stud guard girth features double elastic, three dee rings as well as a carabiner to attached either snap or loop end martingales to the girth. 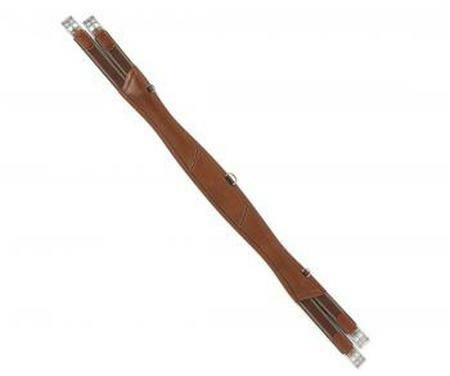 As with all Prestige products, this girth displays exemplary design and quality.